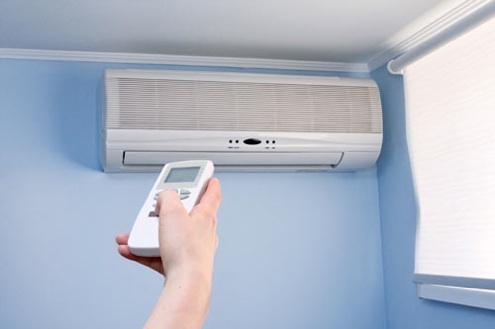 Ductless systems pump cooled or heated up refrigerant straight to wall or ceiling installed air handling units through little lines. Each room or living area has its own air-handling system and each unit has its own wireless electronic temperature control system. Here’s how the system operates in a single space application. Indoor System – utilizes refrigerant to cool or heat air and silently streams it where you require it in the living-room space. Outside System – has an inverter-driven heatpump that cools or warms refrigerant and sends it inside to an air handler through small lines. Wireless Control Unit – conveniently enables you to change temperature, fan speed and more … at the touch of a button. We have 12 designs varying from 2,800 to 48,000 BTUs. Each particularly developed to power a single-indoor unit for single space applications – or approximately 8 indoor units for multiple-room applications. More than 25 ENERGY STAR(R) certified designs including efficiency ratings as high as 30.5 SEER. Speak to your authorized Mitsubishi Electric specialist about which combination will best fit your cooling and heating requirements. Phone (908) 845 8496 to discuss a mini split hvac system today.